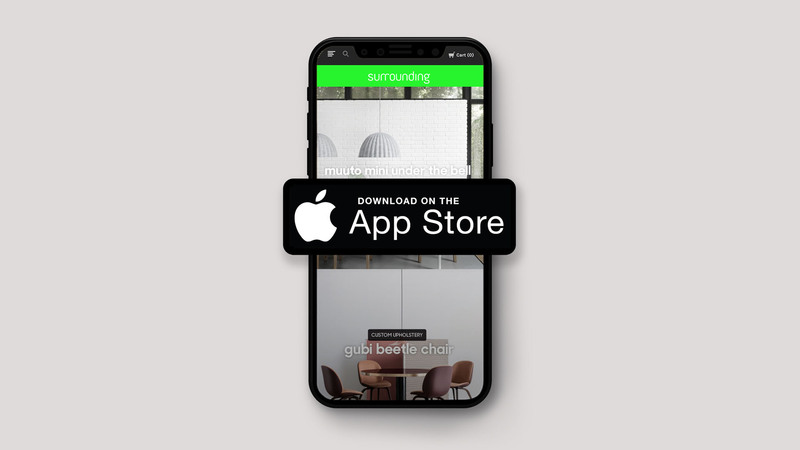 Outcome: The app was world first for the designer furniture category, Surrounding continued its pioneer digital positioning by allowing their entire range to be be purchased through the app. Results: The Surrounding app was trending on the app store 5 days after launch. App Analytics: Available on request.